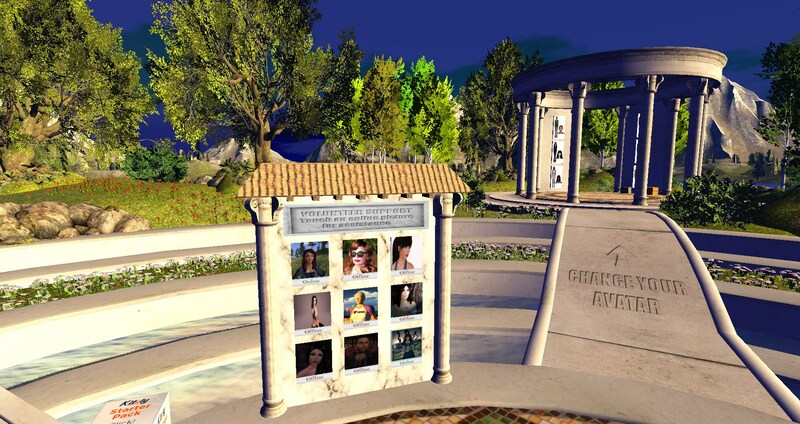 There are grids whose welcome areas are always full of people hanging out, with mentors on hand to help newcomers and answer questions from residents and visitors, even grid owners stopping by to press the virtual flesh. Kitely has not been one of those grids. In the past, its welcome region has been … well, a little unwelcoming. The new redesign, unveiled earlier this month and built by community volunteers, addresses some, but not all, of the problems of the previous Kitely Welcome Center. First, a little bit of background about what a welcome region is. Like the home page of a website, it’s usually the first place that visitors come when they log in or teleport into a grid. 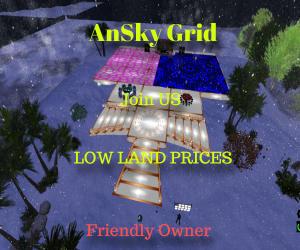 It’s the place you land when you type in the grid’s hypergrid address into your map’s search box without specifying a particular region. For a social grid, helping newcomers make friends is typically the first priority. One someone has friends on a grid, they’re more likely to come back, to participate in events, to shop, and to rent land. Looking pretty is nice, but not relevant. There are grids — and websites — with really ugly entrance points that do extremely well. And really pretty ones that do badly. 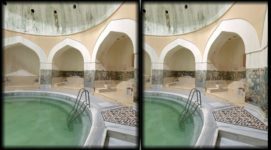 In fact, a too-pretty welcome region can actually hurt a grid, just like a graphics-heavy Flash splash screen will often drive visitors away from a website. It’s only cute the first time — after that, it’s just annoying and takes too long to load. The new Kitely Welcome Center doesn’t exactly lend itself to hanging out. The typical social cues that might encourage people to stick around and socialize are missing. 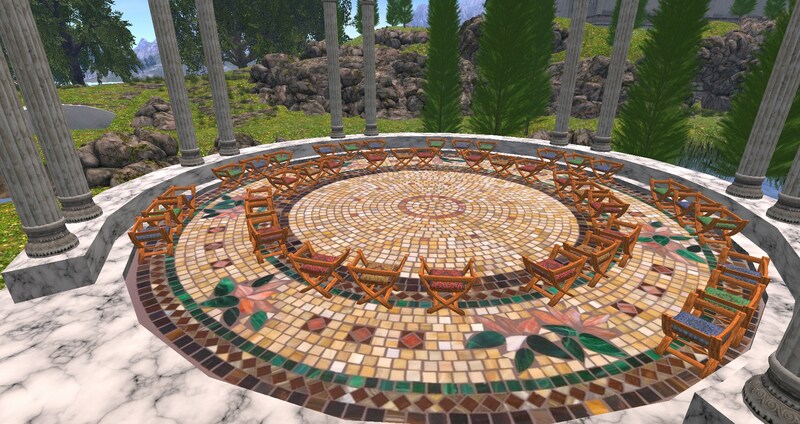 I remember Reaction Grid had a nice welcome region with little tables where the owners would often hang out. 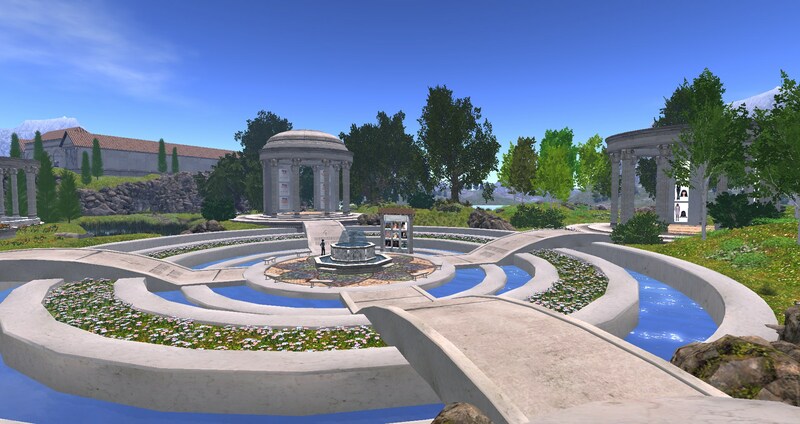 On OSgrid, whenever a teleport fails, users would be sent to the welcome region, LBSA Plaza, almost guaranteeing a steady flow of traffic. Plus, grid administrators often hang out there, as well. If you drop by, there’s usually folks around, chatting. Some grids post mentors in the welcome region, to greet every newcomer personally, offer them a tour of the grid, help them get set up. Commercial social grids in particular have a vested interest in making visitors feel welcome, and some do an excellent job. 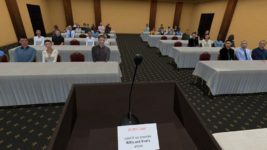 I’m not sure what Kitely can do to make its welcome region more popular. 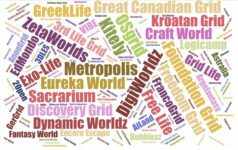 There are plenty of events on the grid, but they are typically scattered around the member-owned regions, not held in the Welcome Center. The one nice thing that Kitely has done is put a volunteer support board up at the landing point, showing which volunteers are online. visitors can click on a picture to get assistance. This is a good first step, but it’s not the same as having someone actually come up to you and ask you if you need anything, or offer to show you something special that’s happening right now, that you would just love. There is a meeting area, down a path marked “Places to Visit,” but it’s not really laid out like a hangout location. One of the great things about virtual worlds is that you can do things that you can’t do in real life, and meet interesting people from around the world. That’s actually one of Kitely’s strengths. The Kitely calendar is packed full of interesting events. But if you land in the welcome area and look around, you wouldn’t know it. There are no banners announcing live music performances, no Goodyear blimps announcing the opening of new stores, no street urchins handing out invitations to the hottest parties. Sure, you don’t want to over do it. Too much marketing is a big turnoff. But too little marketing just makes the grid look dead. 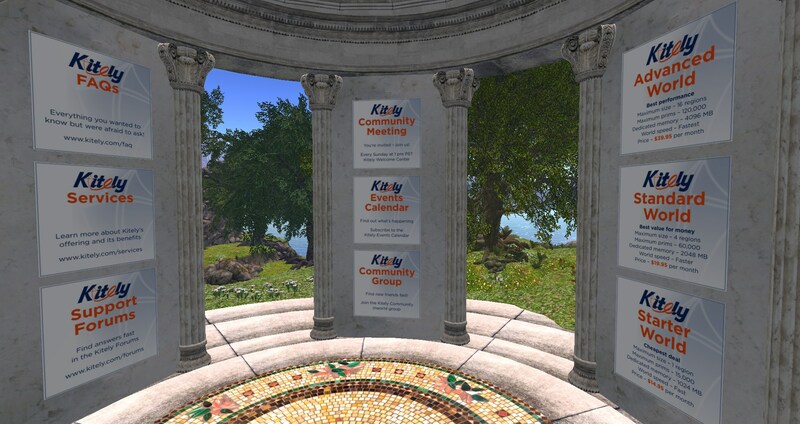 If you walk down the path marked “information about Kitely” you get to a little rotunda that has some promotional signs up — including one for the calendar. Maybe they’re still working on them, but these have got to be the least promotional promotional signs that I’ve seen. The signs all look identical to one another, and none of them do much to inspire you to click on them. In particular, the most needed piece of information is missing — what is happening right now? Is there a big party happening right now? A fashion show? A concert? This information is available on the calendar, along with images and teleport links, so it should be easy to put it on a sign. I would suggest that events happening right then, and those about to start should be featured, as well as big upcoming events that people should add to their calendars and make sure to come back for. 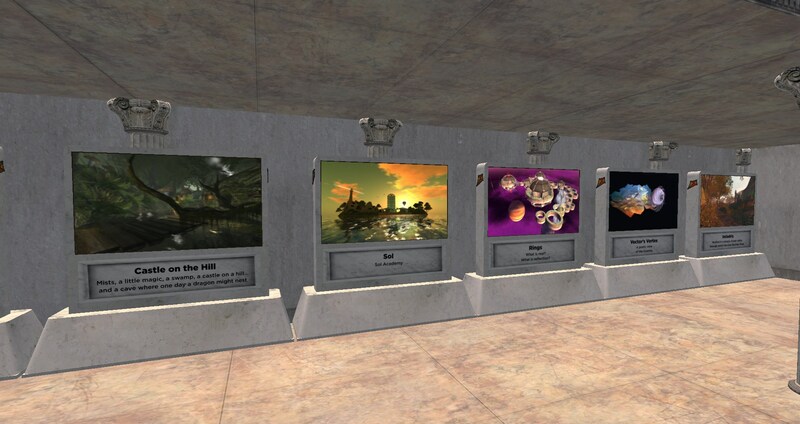 There is also a gallery of in-world destinations. These are basically posters showing off pretty locations on the grids, most of which fall into the “gorgeous builds to look at” category. 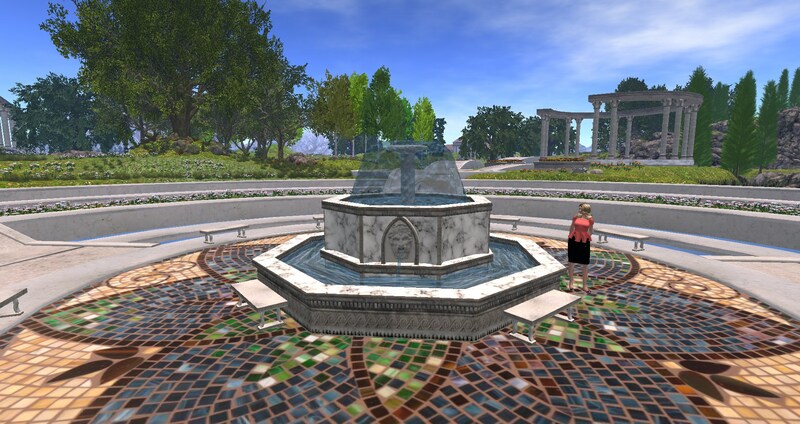 And, yes, one of the things that you can do in a virtual world is go look at things. And there are people who like to wander around by themselves and soak up the virtual atmosphere in weird and artistic locations. If I’m in the right mood, I’m one of those people. But in addition to attending events, and looking at things, people also like roleplaying games, shopping, and learning stuff. The destinations featured in the Welcome Center, and their descriptions, focus more on the “look at this” category of activities than anything else. There are some exceptions. That Panthalassa region, for example, promises a lot of activities — sailing, surfing, hunting, shooting — and warns you to watch out for the dinosaurs. How can you not want to go visit that? What would make me even more inclined to visit a place is if I knew that there were already lots of people there, right now, doing stuff. Is there a way to promote the public region that is the busiest at any given time? That would definitely be something that I would like to see — and go and check out what’s going on. Most grids’ welcome regions have freebie stores where newcomers can fix themselves up so that they don’t look totally awful when they’re just starting out. Kitely, however, only offers a teeny tiny selection of starting avatars. Click on an avatar to get the full kit, including all the clothing the avatar is wearing. 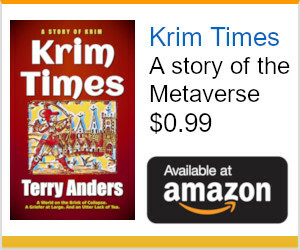 Not a great deal of choice here, and you might have seen these avatars before, in all the Linda Kellie freebie stores. I do have to say that Linda Kellie content is a great choice for any grid’s welcome center because it is licensed CCO — as close as you can get to public domain. That means that you can do anything you want with these objects, including modifying them or reselling them or using them to promote your grid. 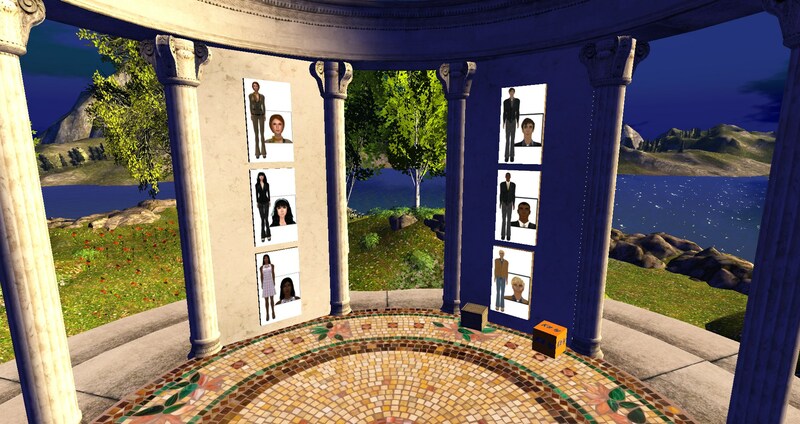 The choice of these conservatively-dressed avatars also helps set the tone for this grid, which is popular with educators, non-profits, businesses, and writers. Maybe there’s something more in the “Kitely Starter Pack” box in the landing area? Nope, just four notecards — a welcome message, useful landmarks, movement and control instructions, and a description of the welcome center itself. That description, by the way, promises an avatar area where you can get skins and costumes, and links to more places to get free avatars. Did I miss this part? Is there another avatar area somewhere in the region that I haven’t found yet? Maybe there are some signs for freebies in the destination showcase? Nope, not a single one has the word “freebie” anywhere. Hold on. There’s a building that looks like a store, filled with cool stuff! Look at all that great stuff! I don’t know where to click first. Okay, I’ll click on that dress — it looks great. Oops, just a link to the Kitely Market online store for that merchant. I don’t have to go in-world just to get a link back to the website. 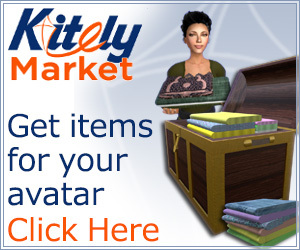 I’ve got the Kitely Market permanently bookmarked. I click on the jeans — again, a link. I click on a boat — a link again. It’s all just links. The place is just a bunch of ads for the online stores. I’ve got nothing against promoting online stores. 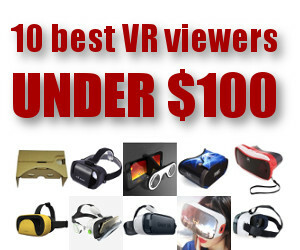 I love online stores, and I love the Kitely Market. And, as someone in the media industry, I just love love love advertising. But from a user perspective, seeing all these ads in-world isn’t all that useful, since I get them all on the website, anyway. But maybe I can visit these merchants’ in-world locations? Get a tour of that boat before I buy it? Nope — no teleport links here. Finally, I check the “Useful Landmarks” notecard next and there it is — a list of freebie stores. 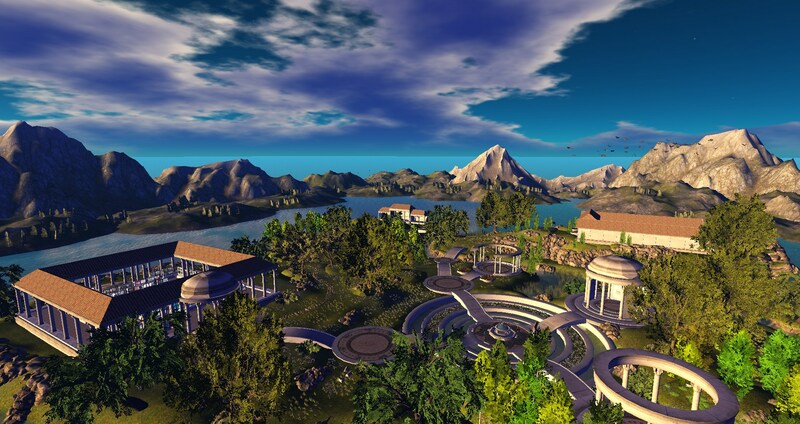 I recommend that folks go and visit the Clutterfly Redux and Stuff regions on Kitely. So technically, you could say that the new Kitely Welcome Center helps me get my avatar set up. But it doesn’t do a very good job at it. My final verdict? The new welcome region is very pretty. The volunteers did a very nice job building it. The landscaping is gorgeous and the mellow atmosphere, water features, and flying birds are very relaxing. Seriously, take a close look a those flying birds. They’re gorgeous. But, looks aside, the welcome center does little to showcase Kitely as a vibrant grid, full of great people and events, and to convince visitors to spend more time here. 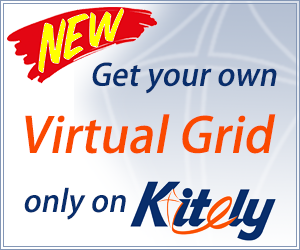 From anywhere on the hypergrid, teleport to grid.kitely.com:8002 or create a new account on Kitely here.